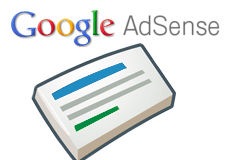 Google sent emails to AdSense publishers on May 7th saying "Your tax information changed." It then goes on to explain how to update your tax details. But on May 12th, Google sent a revised email notifying publishers that the email sent on May 7th was sent in error. 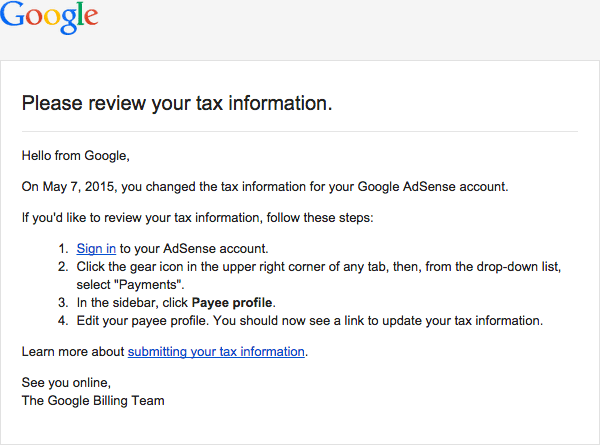 That email's subject line read "Google AdSense: Google tax change email sent in error." I received both emails, I did check to make sure on May 7th my details were correct and they were, so I disregarded the email. But many were confused and rightfully so. So Google sent out an additional email telling publishers to disregard the original email from a week ago. Recently, a communication from Google was sent to you in error. During regular verification of customer tax information with the Internal Revenue Service (IRS), a technical error resulted in an email to you incorrectly stating that your tax information has changed. In no way has your tax information changed or been compromised. No action is required on your part and you can disregard the email. 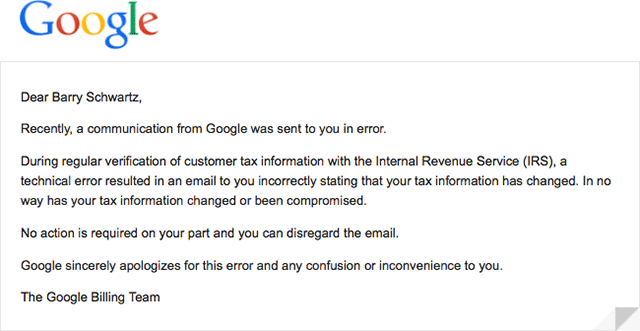 Google sincerely apologizes for this error and any confusion or inconvenience to you. So no need to worry there.